Hannover 96 have appointed Daniel Stendel their permanent head coach on a two-year contract valid until 30 June 2018. 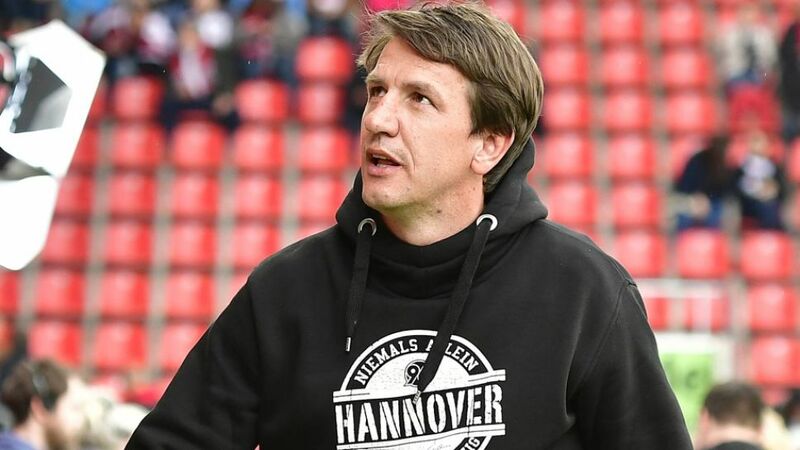 Although unable to prevent Hannover being relegated to Bundesliga 2, Stendel has impressed the club hierarchy since replacing Thomas Schaaf on an interim basis at the start of April, taking five points from his first three games in charge. "Daniel has shown his qualities in the Hannover 96 youth team down the years," said Hannover sporting director Martin Bader of the club's former Under-19s coach. "In recent weeks we've seen how successfully he can work in professional football. He also knows the club and the surroundings very well. He is Hannover through and through." Stendel's first game in charge as permanent head coach comes at home to FC Schalke 04, little under a week after the Reds were relegated to the second tier following 17th-placed Eintracht Frankfurt's dramatic 2-1 win over 1. FSV Mainz 05 on Matchday 31.